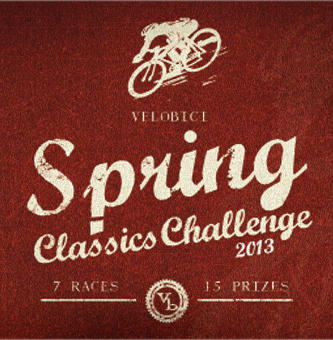 Velobici Spring Classics Challenge – The Prizes! 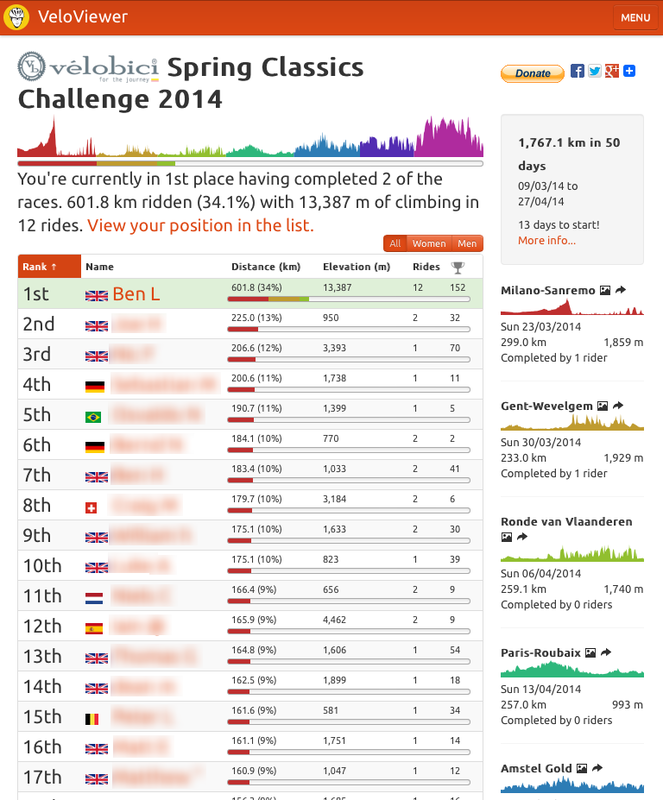 Posted on April 17, 2014 | by Ben Lowe | 1 Comment on Velobici Spring Classics Challenge – The Prizes! I’m sure you lot don’t need any more motivation to clock up the miles for the Velobici Spring Classics Challenge with, as I type this, 132(!) of you already having completed the full distance and 3 of you having done double the distance! Well, with 10 days still to go here is a quick reminder of the prizes up for grabs from our partners on this challenge. Remember, the more Classics you cover off, the more chances you’ll have of winning as you’ll be in the draw for prizes for all the Classics you have completed. So what are you doing still reading this when you could be out on the bike! The snowdrops are flowering which can mean only thing: the Vélobici Spring Classics Challenge is about to commence! With over £1000 of Vélobici kit up for grabs this is just the incentive you need to get yourself clocking up the miles in preparation for summer. The format is the same as last year with 50 days available for you to rack up as much distance as you can with a goal of completing the equivalent distance of as many of the Spring Classics as possible. The more classics you complete the better the prize you’ll have a chance to win. Many bonus prizes also available including furthest distance covered on a steel framed bike and also a separate country leaderboard to see which nation has the most hard-core riders. View the leaderboard on VeloViewer. 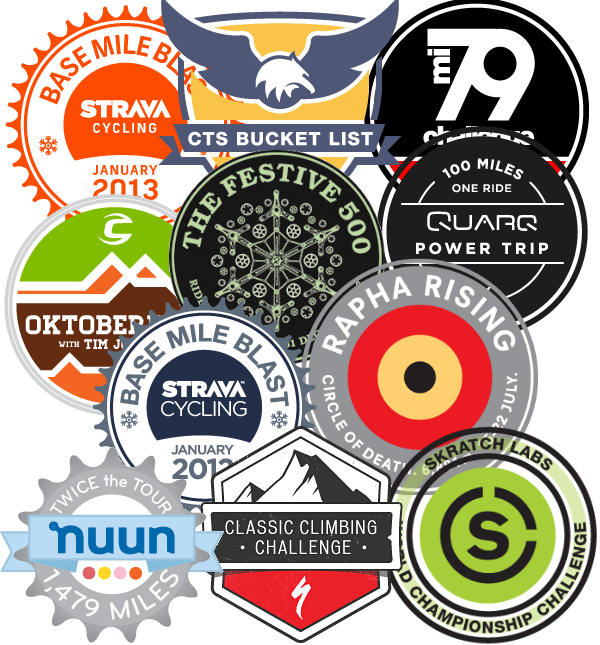 It has taken some time for me to get round to reimplementing the Strava Challenge Trophy Cabinet that was a popular feature of the last version of VeloViewer but the wait is now over! On your VeloViewer Summary page you are now provided with a list of all the Strava Challenges that you have completed, fully or in part along with any current Challenges that are in progress. 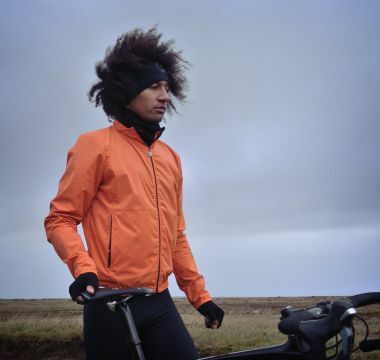 For the next 50 days I’ve teamed up with VéloBici to provide a leaderboard for their Spring Classics Challenge – ride the distance of as many of the Spring Classics as you can to get a chance to win some great UK designed and manufactured prizes. The more of the 7 classics you complete the better the prizes on offer become. This challenge is open to anyone around the world so sign yourself up and get riding. I’ve seen on the Strava Customer Support site lots of people asking to be able to show off all the challenges that they have completed. As it stands I don’t know which of the challenges you have or have not signed up for but I can quite easily calculate how you would have done if you had. So here it is: a trophy cabinet of all the challenges you have completed and those that you didn’t quite achieve (whether you were trying or not)! Of course this is only currently available for cycle challenges, not running ones.